Well I broke down and bought another Scoot. Like I need another project. 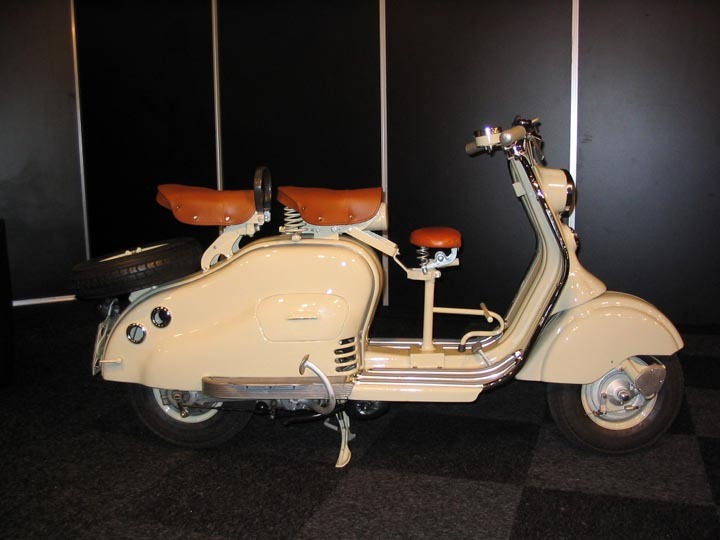 When I first started looking at Vintage scoots this model was actually the one I found most appealing, I'm not sure why but I think it's funky. Anyways after some negotiations I was able to get it home for $1500.00. It Runs and Angelo said it seems to have all the important bits. Thanks again to Angelo for the Eyes and Ears on the Lambretta. It's a Lambretta LD 150. Probably 1955 by the serial numbers. I'm pumped about restoring it but I feel sorry for my Small Frame Vespa I have a feeling it might be sitting after I get this new bike on the road. Hey cool idea I wonder if that's safe??? Well sounds fun.